Balanced 1/4 to 1/4 patch cables. 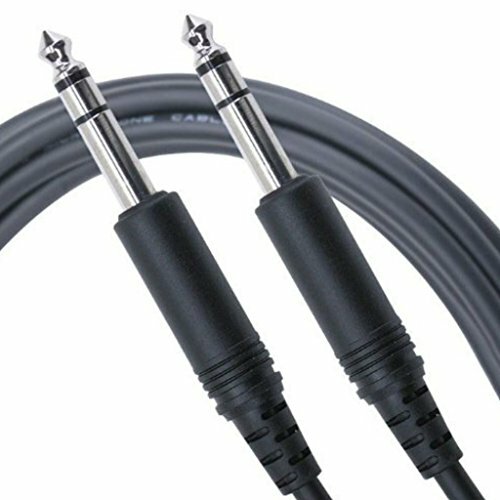 Nearly every top recording studio is wired with Mogami cable. It is famous for neutral tone and dead quiet background. Pure Patch SS cables deliver all the quality of our top studio cables, including Mogami's Neglex quad conductors, exclusive ultra-high density, 100% coverage spiral copper shield. The SS are outstanding assemblies, designed to stand up to studio patching or mobile DJ use. They are also outstanding for any balanced line signal. Best of the best gold contact connectors, backed by a lifetime warranty. Made with 2964 cable.